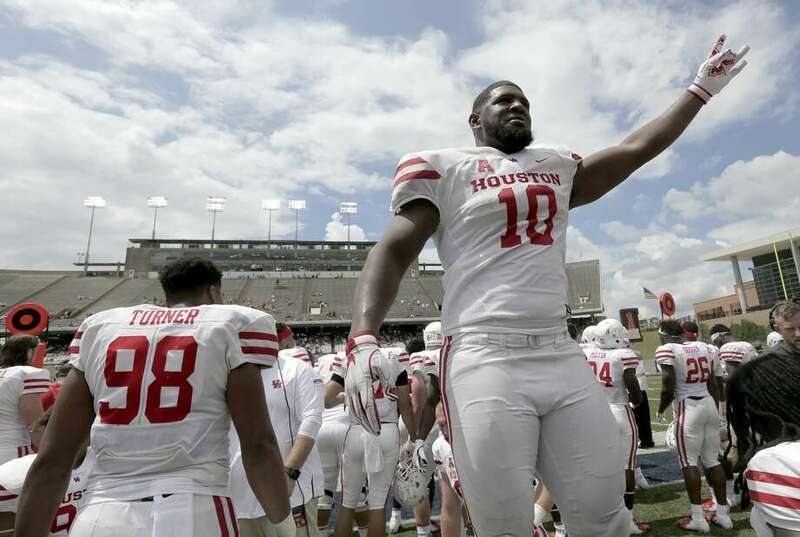 INDIANAPOLIS — University of Houston consensus All-American defensive lineman Ed Oliver is bigger and possibly faster than Los Angeles Rams star defensive tackle Aaron Donald. The Outland Trophy winner and Westfield graduate emulates Donald’s style of play. During the NFL scouting combine, Oliver said he’s intent on proving that he can play any position and that he’s the best overall defensive lineman prospect in the draft. Oliver is so versatile that the Tennessee Titans requested for him to do linebacker drills. “It was upsetting to me to be hurt,” he said. When he signs his first NFL contract, Oliver said he’d like to have a barn full of horses and maybe even a few cows and bulls. “I’m a country boy,” he said.